Preparing for prom typically includes a shopping trip out of town with friends and a price tag in the hundreds. However, the Bartel family is approaching prom in a different way. 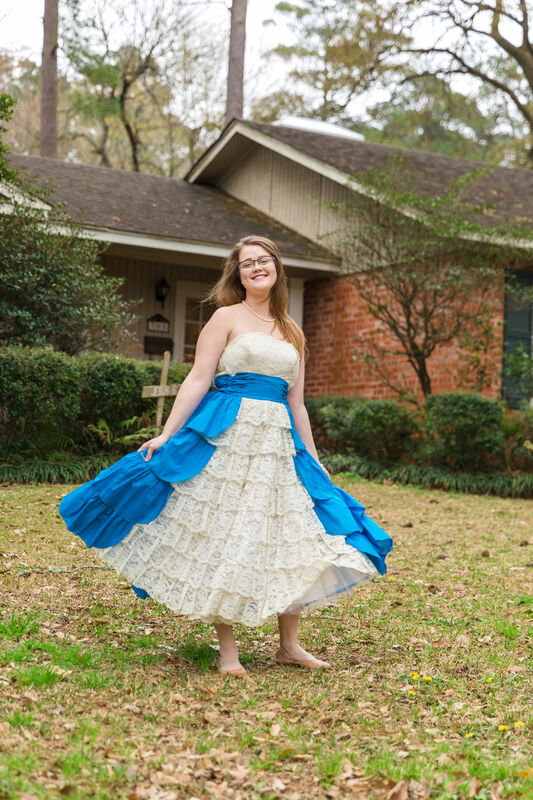 Jilene Bartel is a senior at Hudson High School, and she will be wearing a dress that has been lovingly passed down from her mother, Julie Bartel, and her grandmother, Sandra Jones. Julie said the dress is chantilly lace and ’50s all the way” with a typical bodice and taffeta that is a deep aqua or taffeta. Sandra’s prom was held around 1958 or 1959 in Eunice, Texas. Julie tailored the dress to fit her body type, and she did the same for Jilene. She remembers how her mom helped her prepare for her prom in 1984 at Monterey High School in Lubbock. Jilene remembers seeing the dress in her home growing up. Julie eventually suggested that she could wear the dress, too, if she wanted. “I was like, yeah, that would be cool — bragging rights!” Jilene said. When Jilene tried it on, she and Julie said they were just feeling so happy and nostalgic. Julie said it hasn’t taken very much to keep the dress in good shape over the years. Sandra passed away in January of 2018 of dementia and Alzheimer’s. Julie said she could instantly see the resemblance in her mom and Jilene. Julie and her husband are in the ministry as Sandra was. Jilene is in the medical program at HHS. She plans on attending Houston Baptist University to study to be a nurse and to help people like her mother and grandmother have before her.